"Hi, my name is Sharon Hollier. I am in my 40's and live in Welwyn Garden City, Hertfordshire. I first was diagnosed with M.E. in 2000 and in 2004 I managed my symptoms so well that I was able to work part time but started relapsing in 2008 and had to give up working in 2010. My teenage son had to give up school at the age of 12 because he also has M.E. He uses the internet on his computer to learn, research, play and communicate with his friends in their homes. I have always wanted to do something crazy for an M.E. charity and was inspired by Jessie J, on Comic Relief, to have my head shaved like hers. I'm having my hair shaved to a number one on the trimmers, not going totally bald. My regular hair dresser will be doing the deed in her salon on Sunday 12th May 3pm at Cut Loose Hair Dressers, Hertford. I have been through a lot since I first had my hair cut there. I've also been through many different styles and colours. Tarnia (the proprietor) and her staff have always been supportive. I feel that as they have been there with me through my ups and downs, it would be appropriate to let them shave my hair. I get quite emotional going to other charity events and thinking that my son is house bound with M.E. and there is little that could be done for him. 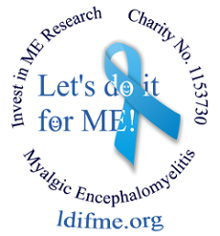 This is my chance to raise some money and awareness for an M.E. Charity. So note it in your diary: My Big Shave will be 12th May at 3pm at Cut Loose hair salon, 30 Fleming Crescent, Hertford, SG14 2DJ. To support Sharon's Big Shave on JustGiving, click here .. Remember that an extra 25% in Gift Aid is added to your donation if you are a UK tax-payer. 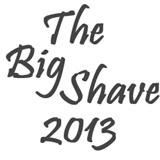 Please see the The Big Shave 2013 website for more details of this event for M.E. awareness week 6th - 12th May 2013 and if you would like to take part. 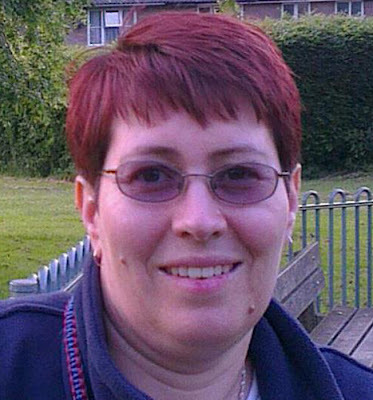 Amy Hanson urged, "Please share with your friends, family, neighbours, even the neighbours dog! It would be great to raise as much as possible".